Over the first weekend of November, 48 girls from about 20 schools competed in the Collegiate Triathlon Nationals Championships…sort of. Women’s triathlon isn’t actually an NCAA sport yet, so the designations and distinctions can be a bit fuzzy. But it is in the process of becoming NCAA. What that means is that women’s triathlon — not men’s — was approved in 2014 as a Women’s Emerging Sport. What was approved was a sprint draft-legal competition, with small teams and a championship held in the fall. Women’s triathlon now has until 2024 to get 40 schools to commit to fielding a varsity squad. At that point, the NCAA will vote on if it becomes a fully-fledged NCAA sport. Everyone is very excited about the opportunities this could provide for women’s triathlon. And they should be. They should also be a little nervous. So far, though there are many questions still, it’s well on its way to official status — particularly with the Division I addition of Arizona State’s team this past year. 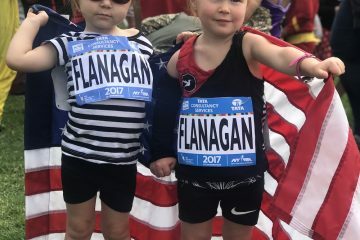 The lure of all this is so promising that USA Triathlon has pledged $2.6 million in grants to schools and has a coordinator on staff to shepherd the fledgling program. To be clear, that’s a rarity. No other sport that has attempted to gain NCAA status has done so with that level of involvement from the national governing body. With NCAA status comes NCAA rules and NCAA desires to win above all else. NCAA designation will mean more money coming into women’s triathlon, ideally. It will mean scholarships for some female elite athletes. This is great for them and for the potential those women have to inspire others. It’s great for USA Triathlon, which is certainly hoping draft-legal NCAA certification will also mean a pipeline for future Olympians. They’re probably right about that — the current Collegiate Development Program is partially what has brought about the rise of the American women in ITU racing already. And it’s hard to ignore the multiple cases of elite junior triathletes, like Taylor Knibb, accepting collegiate running or swimming scholarships instead of triathlon ones, because triathlon ones didn’t exist yet. What makes me nervous is what else NCAA status might bring to the sport. The NCAA is not a particularly untarnished organization. There’s a reason it’s been the subject of lawsuits and scandals over corruption. I don’t feel great about handing over the reins of women’s triathlon to the NCAA. And I’m not sure college is first-and-foremost supposed to be an Olympic pipeline anyway. Others, though, have already weighed the pros and cons, and decided the pay-off is too great. But still I worry about those cons. NCAA scholarships are not going to go to women who have never done triathlon before. With NCAA status comes NCAA rules and NCAA desires to win above all else. Right now, collegiate triathlon exists only at the club level. That club level is what you’d expect: it’s fun and unregulated and open to all, particularly to beginners. It’s also grown wildly in popularity in the last ten years. In fact, the popularity of collegiate club triathlon was used as a selling point in the NCAA pitch. But, in reality, club athletes and NCAA athletes are two distinct populations who will rarely overlap. USA Triathlon has said they will continue to host a spring collegiate club nationals race, even after NCAA certification. I appreciate that. But, if the top female athletes leave, I don’t know how their absence doesn’t bankrupt the legitimacy and popularity of the clubs. I also don’t know how co-ed teams will continue to attract sponsorships and support without the top women. It seems likely club triathlon will become a second-tier activity, and it’s unclear what effect that will have on the male collegiate club athletes. I worry we’re trading one opportunity for some women in exchange for more opportunities for all. Triathlon is an expensive sport. It already struggles with access and diversity issues. 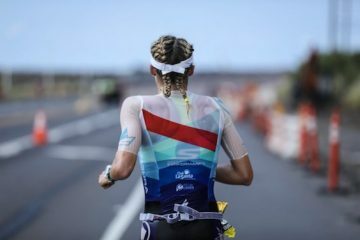 NCAA scholarships are not going to go to women who have never done triathlon before; they’re not going to be a way for underprivileged girls to pay for college. Because, by definition, to earn a scholarship or even a starting spot on the collegiate team, you’ll need to already excel at triathlon as a junior. And the only way to do that right now is to come up through the junior elite ranks, which has a high price tag: nice bikes that are frequently outgrown, pool access, travel to races, and, likely, a training group or coach. I worry that NCAA certification will simply cement these inequities into place, that it will be harder – not easier – to enter the sport competitively later in life. I worry we’re trading one opportunity for some women in exchange for more opportunities for all. A caveat: I learned how to triathlon in college, in a club. I made a lot of friends, who love the sport, but who would never have been given a spot on an NCAA team. I worry that’s what we’ll lose. 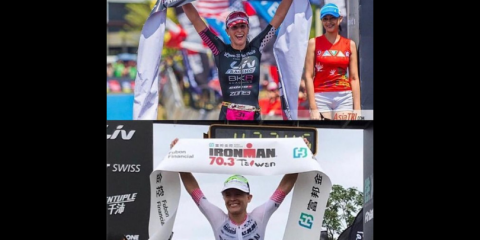 USA Triathlon is the first to admit this transition period right now is awkward, while some women compete both in the NCAA races and in the club races — which still attract the majority of athletes. Right now, the championship race in November still has a huge drop-off from the top athletes to the last. Right now, there are still a lot of questions. Ultimately, though, if everything works out, women’s triathlon will end up like any other NCAA sport — with all the good and bad that comes with that. Where Have the Stepping Stones Gone for Pro Triathletes?